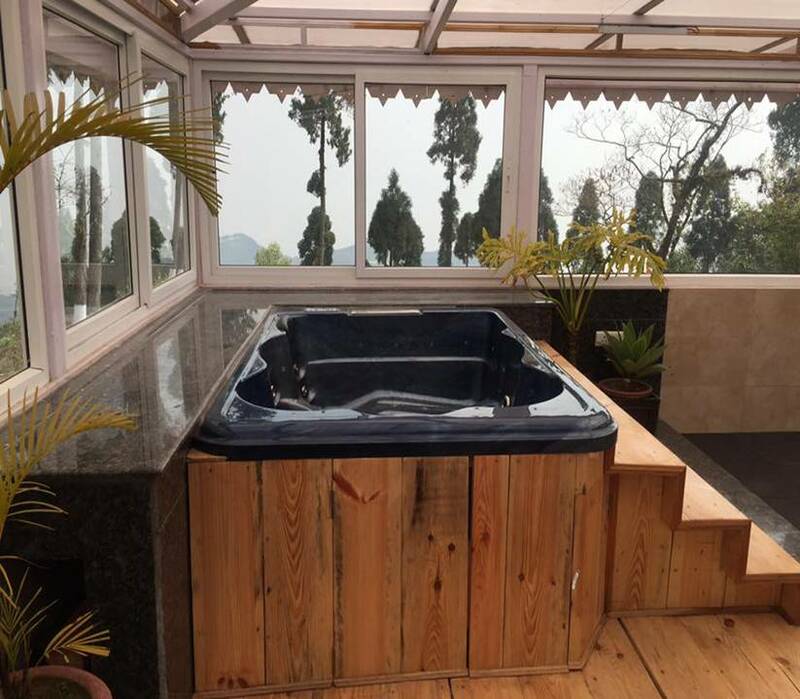 Guwahati , Shillong , Cherrapunji , Kaziranga . Min - 4 Person. The day starts with a warm Welcome at Guwahati Airport . Drive to the ‘Scotland of East’ , Shillong . On the way , halt at Umiam Lake . Enjoy boating with your family . After spending some quality time , reach Shillong within 45 mins . 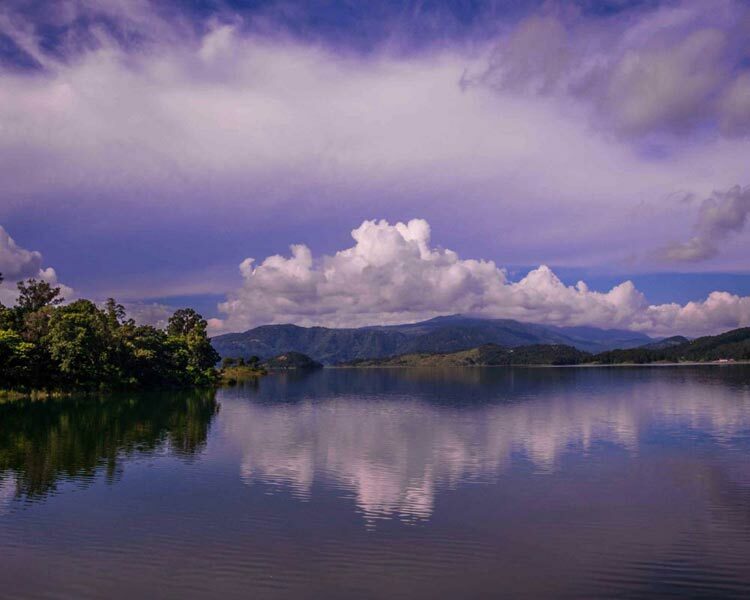 Guwahati to Umiam lake ( Meghalaya’s Biggest Artificial Lake ) by car takes around 2 hrs . Lunch can be taken at Orchid Lake resort (optional as per timing of the restaurant). Enjoy your evening walk in Shillong in the undulating roadside . Get ready for next day. Visit to Local spots in Shillong .Shillong has many location to enjoy . Shillong peak ( 4900 ft ) deserves special mention . You can get a birds eye view from top and can appreciate the hard work and dedication bestowed by our Indian Air Force before reaching the Peak. You can cover all the spots mentioned below and can enjoy boating at Wards Lake . 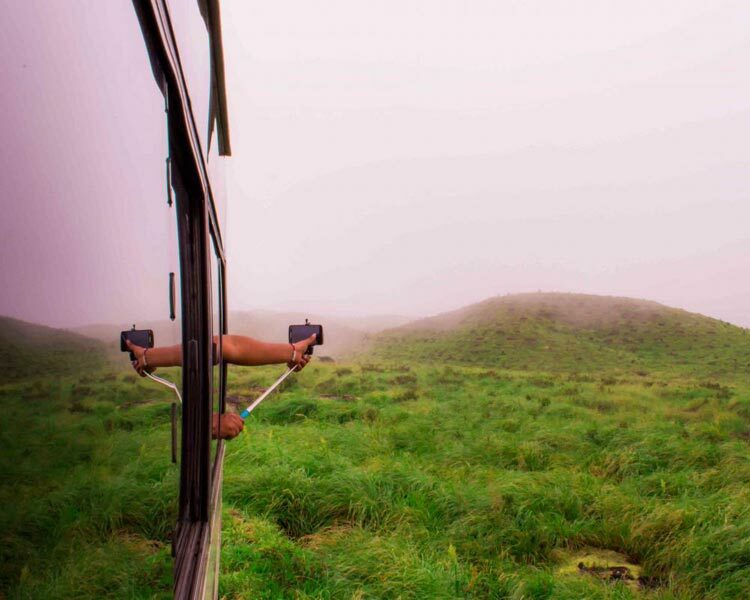 Visit to Cherrapunji through the Khasi Hills of Meghalaya. 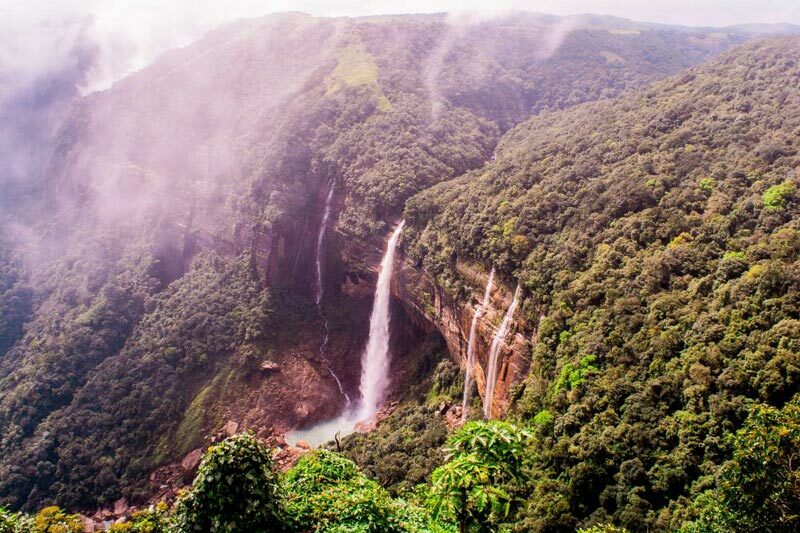 Cherrapunji , 2-3 years back was considered as one of the wettest place on Earth as it receives around 11,777 mm / 464 inch of average rainfall in year . The average rainfall is around 170 days per year. The road has majestic view of valleys and mountains of unparallel beauty . This road has numerous waterfalls and you will get tired of taking selfies and changing locations for your tripod. Incidentally, Cherrapunjee or Sohra also holds a ‘World Record for receiving the highest rains in a month’ so don’t forget to carry your umbrellas! The important locations are listed below . Your trip to Meghalaya cannot be complete without a visit to the astounding ‘Living Root Bridges’. Found in Meghalaya’s East Khasi Hills district and West Jaintia Hills district, Root Bridges are beautiful manmade bridges that are created by manoeuvring the aerial roots of rubber trees. Though it takes ten to twelve years to grow these bridges and regular upkeep . After lunch in Cherrapunji return to Shillong. 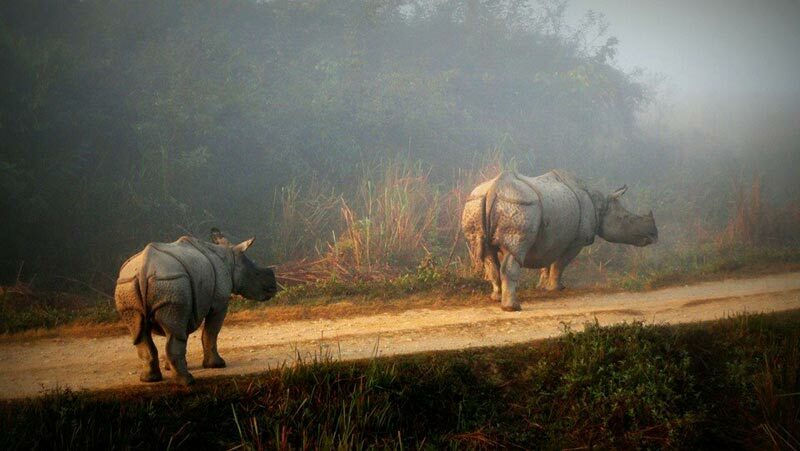 Have an early morning breakfast and start for the World Heritage Site Kaziranga. After a journey of 6 hours through the land shaped by the Mighty Brahmaputra, you can enjoy the hospitality of the resort in the evening. Night halt at Resort Iora. A UNESCO World Heritage Site, a Biodiversity Hotspot and a Tiger Reserve, the Kaziranga National Park is located in the Nagaon and Golaghat districts of Assam. Popularly known as the home of the ‘Big Five’ (One Horned Rhino, Elephant, Tiger, Swamp Dear & Wild Buffalo), this world famous National Park houses nearly two-thirds population of the world’s Great Indian One-Horned Rhinoceros! Other animals and birds found here include the Indian Wild Boar, Hoolock Gibbon, Common Otter, Golden Jackal, Asiatic Black Bear, Bengal Fox, Sambar, Indian Porcupine, Greater Adjutant Stork, Great Indian Hornbill, Wreathed Hornbill, Old World Blabbers, and many more. Recently, an Orchid Park has also been opened at the Kaziranga National Park where tourists can enjoy the beauty of blooming orchid flowers! 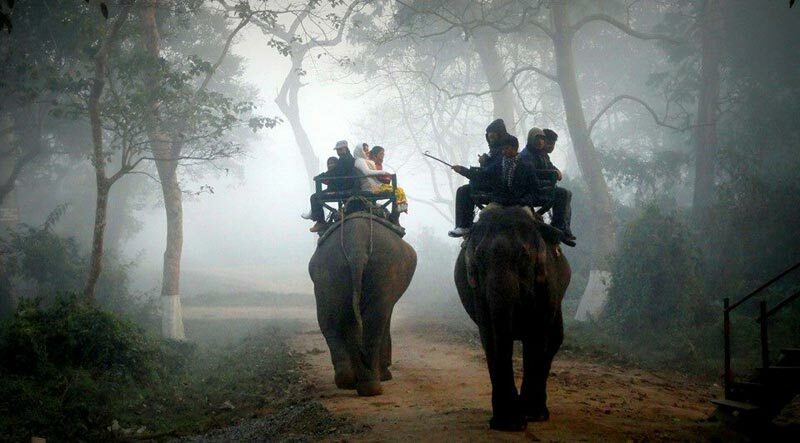 Take an Early Morning, Elephant Safari to spot the Rhino’s. Tired upon roaming with the Elephants, take your Breakfast and get ready for the Jeep Safari in the range of your choice. After completing the Adventure, you can start for Guwahati. If you want to extend the stay, give us a call. Depends upon availability and on payment of Extra charges. Return to Guwahati and take rest . 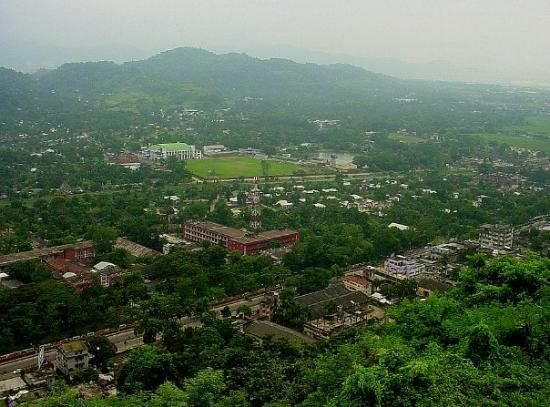 The visit to Guwahati is incomplete without worshiping Devi Kamrup Kamakhya. it is one of the oldest of the 51 Shakti Pithas. Completing early morning Puja, Hope to see you Again. Dropping point Guwahati Airport / Station.